GM CEO Mary Barra Met With Legislators on Capitol Hill. Here's What Came of the Talks. General Motors' Chief Executive Officer, Mary Barra, appeared on Capitol Hill on Wednesday to talk with legislators about why her company plans to close four GM plants. The company's decision was announced last week when they said they needed to cut 8,000 salaried workers and 3,300 hourly workers in order to invest in the auto industry's future of electric and self-driving cars. Barra met with various Congressmen and women as well as senators from states and areas that are being hard hit by the recent announcement. Specifically, Barra met with Ohio Sens. Rob Portman (R) and Sherrod Brown (D) and Tim Ryan (D-OH). She's also set to meet with Rep. C.A. Dutch Ruppersberger (D-MD) and Sen. Gary Peters (D-MI). All of the discussions were off-the-record and behind closed doors. One of the questions Barra was asked, according to members-elect Andy Levin (D) and Haley Stevens (D), was why plants in Detroit-Hamtramck and Lordstown, Ohio were sitting idle while GM sent the Blazer's production to Mexico. Barra said the decision was made previously when Lordstown had three full shifts, the Detroit Free Press reported. One of the major components that lead to the decision was GM's lack of competitiveness. The company wants to lead the way in electric and self-driving cars. "Reminds me of a race to the moon but this commands and inspires the innovation agenda to create jobs and lead industrial global economy," Stevens said. "At same time, unions need bigger seat at table and we need a plan to address painful job loss." 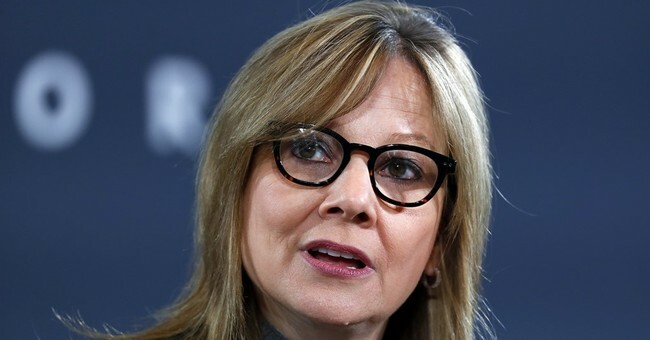 "It's important for GM and Mary Barra to have very serious conversations with members," Rep. Debbie Dingell, D-Mich., said in a statement Tuesday. "Honestly, they should be having these critical conversations more often so we can keep manufacturing jobs in the U.S."
President Trump chided GM's decision on Twitter last week, saying he was disappointed in their decision, specifically after trying to convince other auto companies to bring jobs back to the United States.